WHAT MAKES THEM DIFFERENT? 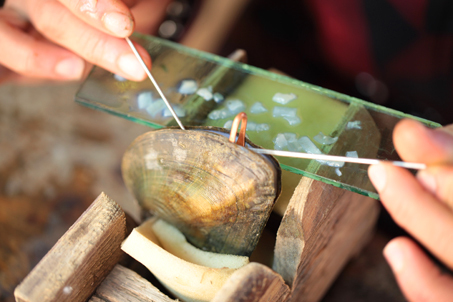 There are many factors that set the freshwater variety of pearl apart from the saltwater. The first factor is that freshwater pearls are grown in lakes and ponds around mainland China, where as the saltwater pearls are grown in oceans. The second factor that differentiates freshwater pearls from the other varieties is the actual mollusk that produces the pearls. 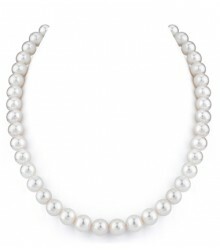 Saltwater pearls are produced by oysters; freshwater pearls are produced by mussels. The mussels that grow freshwater pearls are extremely durable and are capable of producing pearls in much harsher conditions that that of saltwater oysters. Although there are many differences between these varieties nothing may separate them more than the fact that one freshwater mussel can produce up to 40 pearls in just one harvest where as saltwater oysters can produce just one.